The periscope-free MultiView mechanism lets an operator literally "turn" a radial-view instrument into an axial-view device, or vice-versa, in 90 seconds or less. Visit the MultiView Q&A section in the ARCOS Resource Center for answers to frequently asked questions. The design of the SPECTRO ARCOS ensures exceptionally low operating costs over a long, reliable service life. And it packs a modern, ergonomic chassis with proven features such as no-purge UV-PLUS sealed gas purification technology, no-external-cooling OPI-Air Interface. Additional ICP-OES / ICP-AES instruments in SPECTRO’S comprehensive product line include SPECTROBLUE and SPECTRO GENESIS. Watch video demonstrations of the SPECTRO ARCOS – or click here to switch to SPECTRO on YouTube.com. The worldwide chlor-alkali industry produces around 60 million metric tonnes of chlorine annually. Nearly all industrial chlorine production is by the electrolysis of brine (sodium chloride solution). Both chlorine and sodium hydroxide, the other product of this process, are basic raw materials for the chemical industry and as such world demand follows worldwide economic trends, and is particularly strong in the developing economies of Asia. Traditionally, the brine electrolysis was carried out in cells using liquid mercury as the cathode. This process has the potential for loss of mercury into the environment and into the product. Environmental concerns have led to a steady decline in chlorine production by this method, which is being superseded by the mercuryfree ”membrane process”. The efficiency of the membrane process can be impaired by the presence of trace impurities in the brine. To control the quality of the brine, it is necessary to measure these impurities at the parts-per-billion level. This can be done using Inductively Coupled Plasma–Optical Emission Spectroscopy (ICP-OES). For successful and efficient analysis however, the instrument chosen should be capable not only of achieving the necessary detection limits, but also of operating continuously with samples that contain NaCl concentrations approaching 25-26 %, and preferably without dilution. This paper illustrates how the design and performance of the SPECTRO ARCOS ICP-OES make it the instrument of choice for this demanding application. Metallic elements can be present in pharmaceutical products for a number of reasons, occurring as active ingredients, as impurities in raw materials and as contaminants. Some are known for their toxicity, and as such are tightly controlled by regulation. Because of the repetitive dosing involved in most treatment regimes, permitted levels have to take into account the cumulative exposure to toxic elements, driving down the limits of detection required from analytical procedures. In examining materials, the ability to screen for a number of metallic elements at these low levels may be required. On the other hand, in products such as dietary supplements, some elements may be present at relatively high concentrations. The ideal analytical techniques for the analysis of pharmaceutical products will therefore combine the ability to measure a wide range of elements at trace levels with the wide dynamic range needed to handle higher concentrations. Samples may vary from raw materials, intermediates, process chemicals and solvents to finished products, so analytical techniques must be able to handle a wide range of sample matrices. The US Food and Drug Administration has proposed two new general chapters concerning elemental impurity limits (232) and analytical procedures (233). Chapter 233 suggests two techniques: inductively coupled plasma–optical emission spectroscopy (ICP-OES) and inductively coupled plasma–mass spectrometry (ICP-MS) for these analyses. Instruments used will need to be validated and will have to demonstrate compliance with other quality protocols used in the pharmaceutical industry such as US FDA 21 CFR Part 11. The SPECTRO ARCOS and SPECTRO GENESIS represent the state of the art in ICP-OES technology. The results at the end of this paper illustrate their performance and suitability for the analysis of pharmaceuticals. “Condition Monitoring” is essential to the efficient operation of large plant and machinery, and is the use of physical and chemical techniques to check engines and machinery for wear with the objectives of preventing costly equipment failure and optimizing maintenance programs. The elemental analysis of used lubricating oil is an integral part of condition monitoring: specialist service laboratories and plant operators will analyze hundreds of lubricant samples a day for a wide range of elements. Many techniques exist for this type of analysis, but only Inductively Coupled Plasma – Optical Emission Spectrometry (ICP-OES) has the speed and sensitivity to succeed in these high throughput applications. A modern simultaneous ICP-OES instrument such as the SPECTRO ARCOS is capable of measuring over 60 samples per hour for a wide range of elements. Direct presentation to the instrument of a simply diluted oil sample is the preferred technique when speed is essential. Even then, however, sample preparation can be the rate limiting step: the sample must be measured (by volume or weight), quantitatively diluted, mixed and presented to the instrument, possibly with the addition of an internal standard or other reagent. With high sample throughput, performed manually this task is not only costly in manpower terms, it is also repetitive and therefore subject to human error. A new and revolutionary system developed jointly by SPECTRO Analytical Instruments and LABIRON Systems bv. fully automates the complete sample preparation and measurement process and achieves analysis times of less than one minute per sample including sample preparation. This paper examines the analytical requirements, the design and operation of the system. The heart of any ICP-OES instrument is the optical system. So it’s important that scientists, lab managers, and other users understand some salient facts about a very critical component of these complex instruments. This knowledge will help users choose the best spectrometer for their laboratory. This paper explains the fundamental differences between the two leading optical designs and discusses how each technology deals with technical challenges such as light loss, stray light, spectral order overlaps, and others. The paper also explains how each can potentially affect the outcome of various analyses. Application examples and analytical results are included. Agronomic results often rely heavily on analyzing field samples. So analysis accuracy and timeliness are vital to laboratory testing regimes — of state regulatory labs, contract and other commercial/university soil labs, and production labs maintained by fertilizer makers and other manufacturers. For a variety of technical reasons, various elements found in typical samples may prove tough to measure. Facing these and other challenges, a number of analyzers on the market today can fail to deliver precise, reliable agronomic testing. Fortunately, some recent technological improvements have further enhanced the capabilities of an inductively coupled plasma optical emission spectrometry (ICP-OES) analyzer like SPECTRO ARCOS. Users report that several features of most conventional ICP-OES spectrometers can cause considerable trouble and expense. The difficulties can often be traced to inherent weaknesses in the instruments’ design. In older instruments, these may contribute to clearly substandard results. Even in newer spectrometers, if they’re based on traditional technology, problems may persist. Overall, shortfalls most frequently result in downtime, lost productivity, lower sensitivity and stability, and a much higher cost of ownership. Fortunately, innovative engineering improvements have helped eliminate these bothersome spectroscopy headaches. Some next-generation systems surpass conventional designs to deliver consistent, rapid, accurate — and considerably less expensive — results. 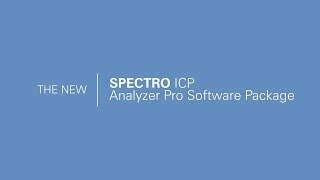 Example: the new generation of ICP-OES analyzers from SPECTRO Analytical Instruments. In many aspects, SPECTRO rethought conventional ICP-OES analyzers to arrive at this line’s innovative design. It sets new benchmarks for simplified operation, low maintenance, and assured affordability. Users may find that four reasons in particular make upgrading to these next-generation instruments an intelligent choice. Inductively coupled plasma optical emission spectrometry (ICP-OES) instruments have become the analyzers of choice for a wide array of industrial, environmental, and research tasks. Their technologies are complex. Manufacturers offer many competing claims about each product’s sensitivity, stability, speed, and more. One key differentiator: how spectrometers handle optical plasma observation. Understanding concepts such as axial view, radial view, and dual view is critical to deciding which instrument to purchase for which analysis. This report can help clear up any confusion. It briefly defines different plasma viewing technologies, compares their strengths and weaknesses, and discusses typical applications. It also highlights recent developments in plasma viewing technology that significantly alter the equation — and may change users’ minds about which instrument to select. ICP-14: Determination of Trace Elements in Platinum Inductively coupled plasma optical emission spectrometry (ICP-OES) is a powerful method for the determination of trace elements in Pt and Pt jewellery alloys. Using the simultaneous SPECTRO CIROS VISION spectrometer excellent detection limits for trace elements in Pt in the µg/kg-range were achieved. In addition, the total Pt content in highly pure Pt can be obtained by subtraction of the total determined content of impurities from 100%. ICP-16: Hydride Generation ICP-OES Hydride generation is a very efficient ICP-OES sample introduction system for the elements As, Sb, Bi, Se, Te, Ge and Sn. Low limits of detection (LODs) in the sub µg/L-range were obtained. For example, LODs for As, Se and Sb in aqueous solutions are 0.1, 0.14 and 0.19 µg/L, respectively, using compromised experimental conditions. Additional improvement of the LODs is possible by optimization of the chemical parameters (NaBH4 and HCl concentration) and the ICP operating conditions for each element. SPECTRO’s hydride generator enables automatic switching between hydride generation and pneumatic nebulization for sample introduction. ICP-18: Determination of Trace Elements in Sulfuric Acid with ICP-OES Quality control of sulfuric acid is required in different industrial processes. In this paper the determination of trace elements in 20 % (V/V) sulfuric acid is described. Sample preparation, line selection and detection limits are discussed. The SPECTRO CIROS VISION is well suited for the rapid determination of trace elements in sulfuric acid. Low detection limits and good precision are achieved. ICP-19: Application of Prominent Spectral Lines for ICP-OES in the 125-190 nm Range Spectral lines for ICP-OES in the vacuum UV range between 125 and 190 nm have been found essential for a range of applications. The following main reasons can be named. 1. Many elements, such as Al, As, Br, Cl, C, Ga, Ge, Hg, I, In, N, P, Pb, Pt, S, Sn and Tl, have their most intense emission lines in the wavelength range 125-190 nm giving higher signal to background ratios compared to lines above 190 nm. 2. Because of a lower abundance of emission lines from the transition elements (Fe, Mn, Cr, etc. ), spectral lines below 190 nm are mostly free from spectral interferences. 3. Less intense VUV lines are often useful for the determination of elements with higher concentrations, thus avoiding dilution. 4. A greater flexibility in the spectral line selection is provided. ICP-20: Analysis of Oils by Axially Viewed ICP-OES The SPECTRO CIROS CCDTM with axial plasma observation shows all the required analytical capabilities to determine wear metals and additive elements in oils with high precision, accuracy and low detection limits. In this application note sample preparation, line selection and detection limits for the determination of several elements in oils by ICP-OES are described. Thanks to the simultaneous character of the SPECTRO CIROS CCD and the easy automation possibilities (automatic sample introduction, sample dilution and addition of the internal standard) high sample throughput is possible with 600 samples a day or even more. ICP-21: Determination of Trace Elements in Gold Inductively coupled plasma optical emission spectrometry (ICP-OES) is a powerful method for the determination of trace elements in Au or Au jewellery alloys. Using the simultaneous SPECTRO CIROS VISION spectrometer excellent detection limits, in the µg/kg-range, for trace elements in gold are achieved. Additionally, the Au content of a 99.9 % (m/m) gold can be obtained by subtraction of the total determined content of impurities in the sample from 100%. ICP-22: Determination of Trace Elements in Palladium Inductively coupled plasma optical emission spectrometry (ICP-OES) is a powerful method for the determination of trace elements in Pd and Pd jewellery alloys. By using the simultaneous SPECTRO CIROS VISION spectrometer excellent detection limits for trace elements in Pd in the µg/kg-range were achieved. In addition the total Pd content in highly pure Pd can be obtained by subtraction of the total determined content of impurities from 100%. ICP-23: Vacuum Ultraviolet Wavelength Coverage for ICP-OES ICP-23: Wavelength coverage in the vacuum ultraviolet spectral range offers new analytical possibilities for ICP optical emission spectrometry. The SPECTRO CIROS VISION ICP spectrometer featuring an argon filled optic and CCD detectors was evaluated for the application of prominent spectral lines in the range 125-190 nm. A number of elements, such as Al, As, Br, Cl, Ga, Ge, Hg, I, In, N, P, Pb, Pt, S, Sn and Tl, were found to have the most intense spectral lines in this wavelength range. Compared to lines above 190 nm, higher signal to background ratios were measured. A detailed list of these spectral lines in the VUV with low detection limits is presented. Due to fewer emission lines from transition elements, such as Ni, Cr, Fe, lines below 190 nm often offer freedom from spectral interferences. Numerous application examples for the use of these VUV spectral lines are given. ICP-24: Analysis of Cobalt Using the SPECTRO ICP-OES Sample preparation and line selection for Co analysis by inductively coupled plasma optical emission spectrometry (ICP-OES) are described. ICP-OES is a powerful method for the determination of trace elements in Co and Co alloys. Using the simultaneous SPECTRO CIROS VISION spectrometer, excellent detection limits for trace elements in Co powder at the µg/kg-level were achieved. ICP-25: Analysis of Nickel using the SPECTRO ICP-OES Sample preparation and line selection for Ni analysis by inductively coupled plasma optical emission spectrometry (ICP-OES) are described. ICP-OES is a powerful method for the determination of trace elements in Ni and Ni alloys. Using the simultaneous SPECTRO CIROS VISION spectrometer, excellent detection limits for trace elements in Ni powder at the µg/kg-level were achieved. ICP-26: Determination of Sulfur in Oils using the SPECTRO ICP-OES The SPECTRO CIROS VISION shows all the required analytical capabilities to determine sulfur in oils with high precision, accuracy and low detection limits. Using the S I 180.734 nm line the limit of detection for S in oil is 0.1 mg/kg after a 1/10 (m/m) dilution of the oil sample with kerosene. Because the ICP spectra only have a few and insignificant S lines above 190 nm, the capability of the spectrometer to detect lines in the vacuum ultraviolet (VUV) is a must. For the determination of higher S concentrations the less intense S lines at 129.565 nm and 147.400 nm are useful, thus avoiding dilution of the oil samples. ICP-27: Determination of Chlorine and PCBs in Oils - New Possibilities by ICP-OES ? ICP-27: Determination of Chlorine and PCBs in Oils - New Possibilities by ICP-OES ? The possibilities and limitations of chlorine and PCB determination by ICP-OES are discussed. The SPECTRO CIROS VISION with axial plasma viewing shows excellent capabilities to determine chlorine in oils. Using the Cl I 134.724 nm-line the limit of detection for Cl in the oil is 0.5 mg/kg after a 1/5 (m/m) dilution of the oil sample with kerosene. Because chlorine has only intense lines below 140 nm the VUV capability of the spectrometer is a must. Because of the low detection limit for chlorine limit values of governmental regulations can be monitored easily. In addition, the determined chlorine concentration can be used as a means of screening for PCBs in oils. ICP-28: Comparison of Modified Lichte and Ultrasonic Nebulizer for Sample Introduction of Drinking Waters in ICP-OES Inductively coupled plasma optical emission spectrometry (ICP-OES) is a powerful method for trace element analysis in drinking waters. Compared to pneumatic nebulisation using a modified Lichte nebulizer, sample introduction by ultrasonic nebulization improves the limits of detection by a factor of 3-10. ICP-36: Analysis of Medical Saline Solutions Optical emission spectrometry with inductively coupled plasma (ICP-OES) is a powerful method for determining trace elements in medical, clinical, or pharmaceutical samples. This report describes the analysis of dialysis fluids and infusion solutions with the SPECTRO CIROS VISION. Sample preparation, line selection, and accuracy of the determination of Na, K, Ca, Mg, Al, and Cl are discussed. Only the use of the intensive resonance line at 167.080 nm allows for the sensitive and trouble-free determination of Al even at concentration levels below 10 µg/L. ICP-37: Analysis of Oils Using ICP-OES with Radial Plasma Viewing A fast simultaneous determination of trace elements, wear metals, additives and chlorine in oil can be performed using the SPECTRO CIROS VISION with radial plasma observation. High precision, stability and low detection limits are achieved. A simple dilution of the samples provides an easy and reliable sample preparation step. The capability of the spectrometer to detect lines in the vacuum ultraviolet (VUV) enables the determination of halogens and the use of prominent lines for other elements in this region. In this report sample preparation, line selection and detection limits of several elements in oils by ICP-OES are described. ICP-40: Analysis of Naphta Direct analysis of volatile hydrocarbons like naphta can be performed using SPECTRO CIROS VISION with radial plasma observation. Either a jacketed spray chamber or an ultrasonic nebulizer with membrane desolvator can be used. Both methods provide improved detection limits, plasma stability and accuracy. No time consuming dilution steps are required. In this report, line selection, sample preparation and detection limits of several elements in naphta by ICP-OES are described. ICP-52: Analysis of Biofuel by Argon-Mixed Gas, and Radial Plasma Observation The determination of Ca, Cl, K, Mg, Na and P in biodiesel samples by ICP optical emission spectrometry was investigated using the SPECTRO CIROS VISION with radial plasma viewing. Prior to analysis the samples were diluted 1:4 (m/m) with kerosene. The effect of added oxygen to the intermediate gas, outer gas and nebulizer gas was studied. An overall increase of the signal to background ratios for Na I 588.995 nm, Na I 589.592 and K I 766.490 nm was observed due to reduced background emission of carbon and carbon compounds when oxygen was added. The addition of 0.35 L/min oxygen and 0.8 L/min argon to the nebulizer gas flow was found to be the most efficient in order to improve the detection limits for Na and K. The application of this cold argon-oxygen plasma enables Na and K determination at µg/kg concentrations in biodiesel. The limits of detection for Na I 588.995 nm, Na I 589.592 nm and K I 766.490 nm after the dilution of biodiesel with kerosene are 1.6, 1.4 and 7.1 µ/kg, respectively, compared with 59, 74 and 220 µg/kg, respectively, calculated for typical ICP operating conditions. ICP-54: Analysis of E85 Ethanol-Gasoline Mixtures by Radial ICP-OES The SPECTRO ARCOS with radial plasma observation was investigated for the analysis of E85, Ethanol-Gasoline fuel mixtures. The measurements show, that the technique has the required sensitivity and precision to determine trace elements and major concentrations in Ethanol-Gasoline-Mixtures. Other mixtures available (E75, M85, M100) can be analysed using the same methodology. Additional advantages of the method are the high linear calibration range and the short analysis time with high sample throughput, which is often required in the production process. ICP-53: Analysis of Drinking Water by ICP-OES with Axial Plasma Observation The multi-element analysis of water is one of the major applications for ICP-OES. The report demonstrates that the new SPECTRO ARCOS has the required analytical capabilities in terms of sensitivity, precision and accuracy to perform the analysis of metals and trace elements in drinking waters. Instrument parameters and line selection are described. Excellent recoveries were found for the standard reference material NIST SRM 1640. ICP-55: Analysis of Biodiesel Using ICP-OES With Radial Plasma Observation The SPECTRO ARCOS with radial plasma observation was investigated for the analysis of biodiesel. Ca, Cl, K, Mg, Na, P and Zn in biodiesel samples were determined with the required sensitivity and precision. The samples were diluted 1:4 (m/m) with kerosene prior to analysis. The report describes instrument parameters and line selection and lists detection limits for the selected elements. ICP-59: Analysis of Wine by direct Aspiration and Radial ICP-OES The ability to determine trace elements in Wine utilizing direct aspiration without prior sample digestion was demonstrated using the SPECTRO ARCOS with radial plasma observation. Other alcoholic beverages can be analyzed using the same methodology. It could be shown that the required sensitivity to fulfil the regulations can be met. Excellent results were obtained for spike recovery measurements performed for a variety of different wines. Without the usually required digestion procedure, preparation related errors are eliminated; the total analysis time is drastically reduced. ICP-60: Analysis of Oils Using ICP-OES With Radial Plasma Observation A fast simultaneous determination of trace elements, wear metals, additives and Chlorine in oil can be performed using the SPECTRO ARCOS with radial plasma observation. High precision, stability and low detection limits are achieved. A simple dilution of the samples provides an easy and reliable sample preparation step. The capability of the spectrometer to detect lines in the vacuum ultraviolet (VUV) enables the determination of halogens and the use of prominent lines for other elements in this region. In this report sample preparation, line selection and detection limits of several elements in oils by ICP-OES are described. ICP-62: Analysis of 200 g/L NaCl-Solutions by ICP-OES with Radial Plasma Observation The SPECTRO ARCOS with radial plasma observation was investigated for the analysis of brines used for the electrolysis of alkaline chlorides. The trace elements were directly determined in 200 g/L NaCl solutions. The required sensitivity for Ca, Mg, Sr, Ba, Al, Fe, Cu, Hg, I, Br and P, needed to fulfill high purity specifications, can be achieved with one single method. Thus the control of this industrial process becomes faster and more cost efficient. ICP-61: Analysis of Aqueous Solutions by The multi-element analysis of aqueous solutions is one of the major applications for ICP-OES. The report demonstrates that the new SPECTRO ARCOS SOP has all the required analytical capabilities to perform those measurements. The report describes instrument parameters and line selection and lists detection limits for the selected elements applying pneumatic sample introduction. Excellent recoveries were found for the standard reference material NIST SRM 1640. ICP-63: Analysis of Soil & Sewage Sludge by ICP-OES with Radial Plasma Observation The report describes the analysis of soil and sewage sludge with the new SPECTRO ARCOS ICP OES. Sample preparation was performed according to DIN 38414. The accuracy was investigated using the standard reference materials, BCR-141R and NIST 2781. The new ARCOS has all the required analytical capabilities in terms of sensitivity, precision and accuracy to perform the analysis of soil and sewage sludge. Excellent performance combined with a high analysis speed was achieved. The report includes the line selection, detection limits and studies on precision and accuracy of the analytical results. ICP-65: Analysis of Molybdenum Oxide by ICP-OES with axial Plasma Observation The ability to determine trace elements in Molybdenum Oxide was demonstrated using the SPECTRO ARCOS with axial plasma observation. LODs in the low ppm range were determined for all elements. This qualifies the SPECTRO ARCOS for Molybdenum Oxide analysis up to a 99.998 % purity level. Wide spectral coverage including the VUV with high and constant resolution is of prime importance for such applications. The excellent resolution of 8.5 pm, which the ARCOS’s Paschen-Runge optical system can provide, makes the instrument the ICP-OES spectrometer of choice for the analysis of traces in refractory metals. Excellent precision was obtained for measurements performed for a selection of reference materials. ICP-66: Analysis of High Purity Copper by ICP-OES with Radial Plasma Observation The ability to determine trace elements in High Purity Copper was demonstrated using the SPECTRO ARCOS with radial plasma observation. LODs in the low mg/kg range were determined for all elements. This qualifies the SPECTRO ARCOS for high purity copper analysis up to a 99.999 % purity level. Wide spectral coverage including the VUV with high and constant resolution is of prime importance for such applications. The excellent resolution of 8.5 pm, which the ARCOS’s Paschen-Runge optical system can provide, makes the instrument the ICP-OES spectrometer of choice for the analysis of traces in metals. Good accuracy was obtained for the measurement of the reference material BCR CRM 075A. ICP-67: Analysis of High Purity Zinc using ICP-OES with Radial Plasma Observation The ability to determine trace elements in high purity zinc was demonstrated using the SPECTRO ARCOS with radial plasma observation. LODs in the low mg/kg range were determined for all elements. This qualifies the SPECTRO ARCOS for high purity zinc analysis up to a 99.999 % purity level. Wide spectral coverage including the VUV with high and constant resolution is of prime importance for such applications. The excellent resolution of 8.5 pm, which the ARCOS’s Paschen-Runge optical system can provide, makes the instrument the ICP-OES spectrometer of choice for the analysis of traces in metals. Good accuracy was obtained for the measurement of the reference material BCR CRM 322. ICP-68: Analysis of Steels using ICP-OES with Radial Plasma Observation The ability to analyze steel was demonstrated using the SPECTRO ARCOS with radial plasma observation. The measurements conducted for trace elements in pure iron show that a matrix concentration of 4% in solution provides LODs in the sub mg/kg range for the majority of elements. In addition it could be demonstrated that the large differences in the sample matrix could be compensated. Those occur when attempting analyses of a variety of high alloy steels using a single calibration. The compensation could be achieved thanks to the robust free running 27 MHz generator of the SPECTRO ARCOS, in conjunction with internal standardization. The analysis of BAM and CISRI certified reference materials gave excellent recoveries and RSDs of less than 0.1 % for major alloying elements. ICP-69: High Throughput Analysis of Oils A fast and simple determination of wear metals and contaminants in oils for trend analysis can be performed using the SPECTRO ARCOS with radial plasma observation. High accuracy combined with good detection limits and long-term stability could be achieved in less than 50 seconds per sample, translating into a throughput of ~80 samples per hour. ICP-70: Analysis of 22 Elements According to US EPA Guidelines with SPECTRO ARCOS 165 The multi-element analysis of metals in water is one of the major applications for ICP-OES. The report demonstrates that the SPECTRO ARCOS 165 has the required analytical capabilities in terms of sensitivity precision and accuracy to perform the analysis of metals and trace elements in water and waste water in compliance with EPA Method 200.7 and CLP ILM 05.3. Instrument parameters and line selection are described. Excellent recoveries were found for the standard reference material NIST SRM 1643e. IDLs and MDLs for the elements are listed and were determined within a range between 0.02-2 µg/l. ICP-78: Comparison of Radial and Axial Plasma Observation in ICP-OES Radial plasma observation has proven to be the technique of choice for the analyses of mg/L and higher concentration levels. Affected to a lesser degree by changes of the matrix composition or the presence of easily ionizable elements, calibration functions with excellent linearity and correlation were obtained, even without the use of an internal standard and an ionization buffer. The same tests using axial plasma observation produced surprisingly little differences and good results. It could be demonstrated that axial plasma observation is quite capable of handling higher concentrations. ICP-79: Analysis of High Purity Copper Using ETV-ICP-OES with Axial Plasma Observation ETV-ICP-OES with the SPECTRO ARCOS EOP offers a fast, simple and reliable way for the analysis of trace element concentrations in metals. The present example, the analysis of trace elements in high purity copper, demonstrates that limits of detection in the μg/kg range, similar to GD-MS are achievable. The typical precision of the measured intensities integrals of less than 3 % RSD and the accuracy obtained for the BCR CRM 074 and 075 demonstrate that ETV-ICP-OES is capable of process control of high purity copper and can be regarded as a technique offering comparable performance to GD-MS at a fraction of the costs. The report demonstrates that the SPECTRO ARCOS SOP has the required analytical capabilities in terms of sensitivity, precision and accuracy to perform the analysis of main and minor, as well as trace elements in food. Excellent recoveries, obtained for standard reference material, proof the analytical performance of the method and the instrument. The SPECTRO ARCOS MultiView with true radial and true axial plasma observation offers a simple, fast, accurate, precise and cost efficient method for the analysis of soy bean meal after microwave assisted digestion. Due to the good detection limits using the axial observation mode and the extremely wide linear range using the radial observation mode, matrix components as well as trace elements can be easily determined. 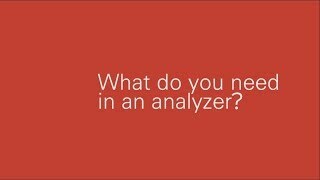 This paper highlights some relevant features of Smart Analyzer Vision software from SPECTRO Analytical Instruments. This software is installed in inductively coupled plasma optical emission spectrometry (ICP-OES) instruments including SPECTRO ARCOS, SPECTROBLUE, and SPECTRO GENESIS. It can help users in the pharmaceutical industry comply with regulations and deliver full system benefits. This application report demonstrates that the SPECTRO ARCOS meets the requirements of <232> USP and ICH Q3D for the analysis of pharmaceutical products with low daily doses. Limits of detection, recoveries and ruggedness fully agree and even exceed the specifications described in the mentioned chapters. Due to the sensitivity and large dynamic range, major, minor and trace analyte concentrations in pharmaceutical products can be analyzed using a single analytical method, thus requiring minimal dilution of the samples. Click on the link below to further explore the SPECTRO ARCOS.